93 Lukie Points will be rewarded to you when you buy this. 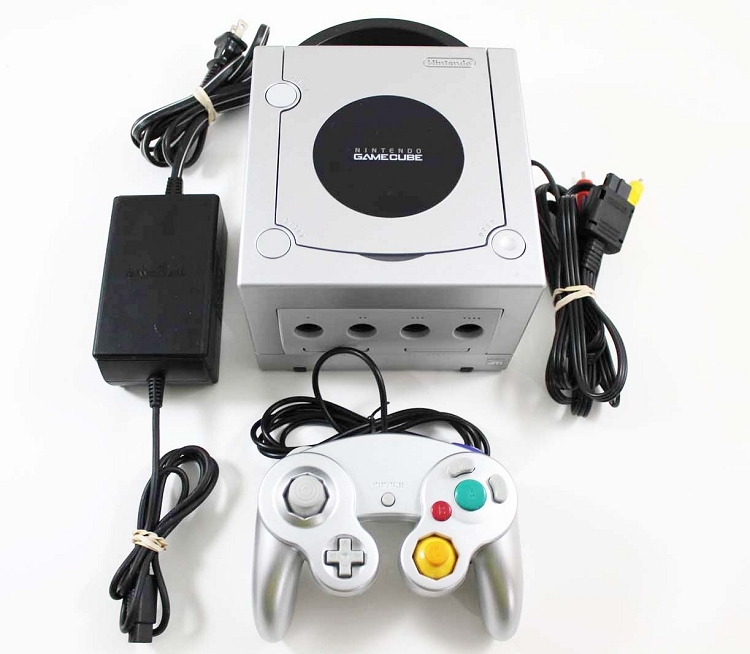 Original Nintendo Gamecube system in GREAT condition! This system has been thoroughly tested! Controller color may vary from that shown in photo. It came really quick, like only a couple of days and was in great condition. Everything worked perfectly. Highly recommend, there are some great titles on Gamecube. I bought Mario Sunshine and Resident Evil 3 and love them. Bought it for my boyfriend’s birthday, came in almost perfect condition and works great! I currently got this system again and it's amazing. I had one growing up and 2 years ago someone broke into my house and stole it. I got money and decided to buy it again. All the old memories are coming back its even better that it's the exact same color. Everything worked perfectly with this. I bought this gamecube about a month ago and it works perfectly! I've been happily reminiscing in the good old days and I haven't run into any problems. I would definitely recommend Lukie Games, all of my orders have been quick and simple! Cube came in on time as expected in really nice condition. There's a small cosmetic scratch in the corner but it runs beautifully. So happy to be playing some of my favorite childhood games on my favorite console again. Gamecube is exactly what I bought and recieved looks brand new. System works excellent 100% satisfy. Thank you Lukie Games. 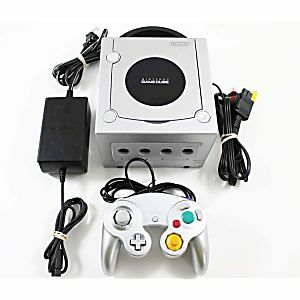 I bought this for my nephew for a graduation gift and he is thrilled with it..
Gamecube works perfectly, quick delivery. Got it within the week. Had everything I ordered, cables and console. I actually chose Lukie Games over Amazon/eBay because reviews were good and I wanted someone I could trust in case I needed to return it. I would recommend Lukie Games and will order again. I wish I could give a review at this time, but I haven't been able to try my game cube out. The controller wasn't working properly, but no worries I called and a replacement is already on the way. I know my experience with this purchase will just as satisfactory as all the other items I have purchased. I ordered this online as a Christmas gift for our 11 year old grandson. He had been searching for this online auction sites and every time he thought he would get it, someone beat him to it. He'd saved his allowances, b'day money, etc. and truly wanted a Game Cube. Christmas morning was exciting as he opened his gift along with the Metroprime disc. Whoo-who! As the grandmother I know almost nothing about the Game Cube system! Worked great. Wish the used game we bought from game stop did.